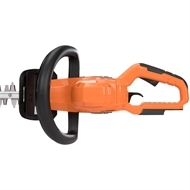 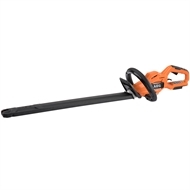 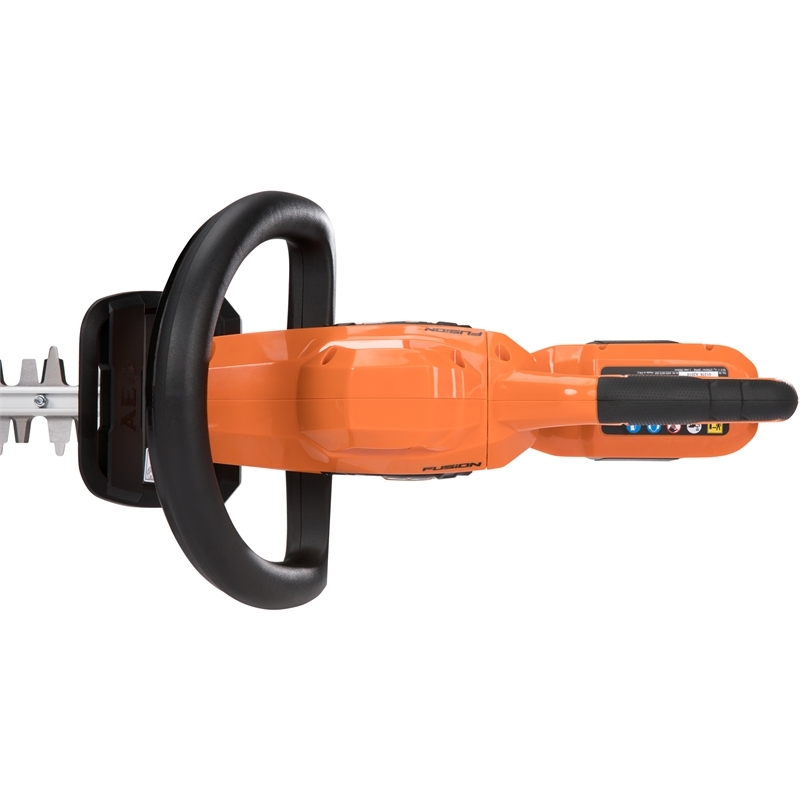 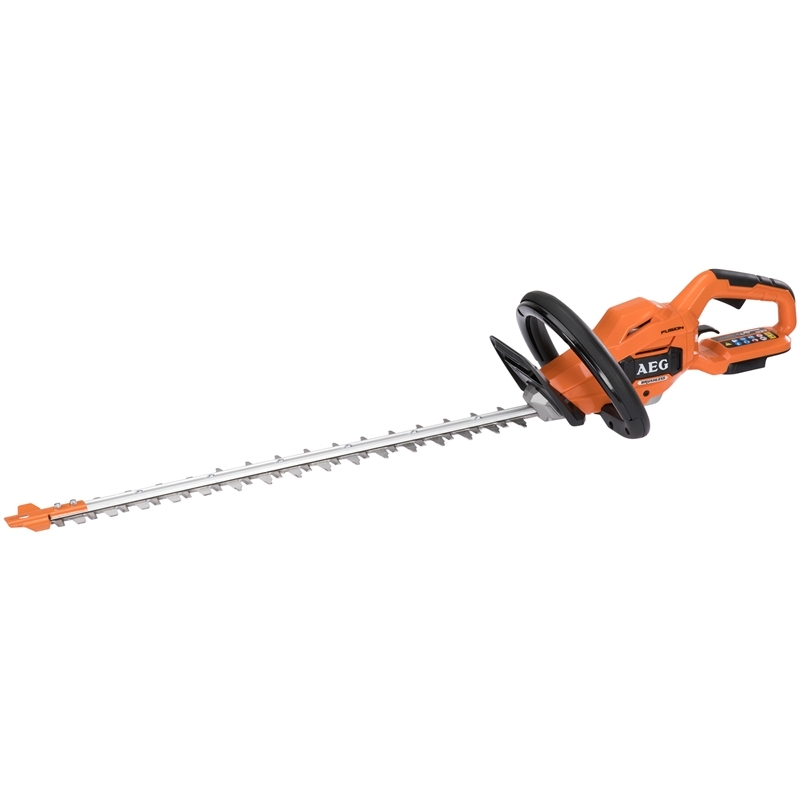 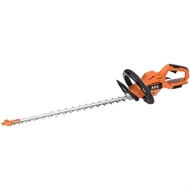 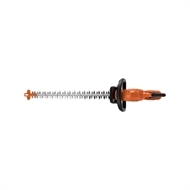 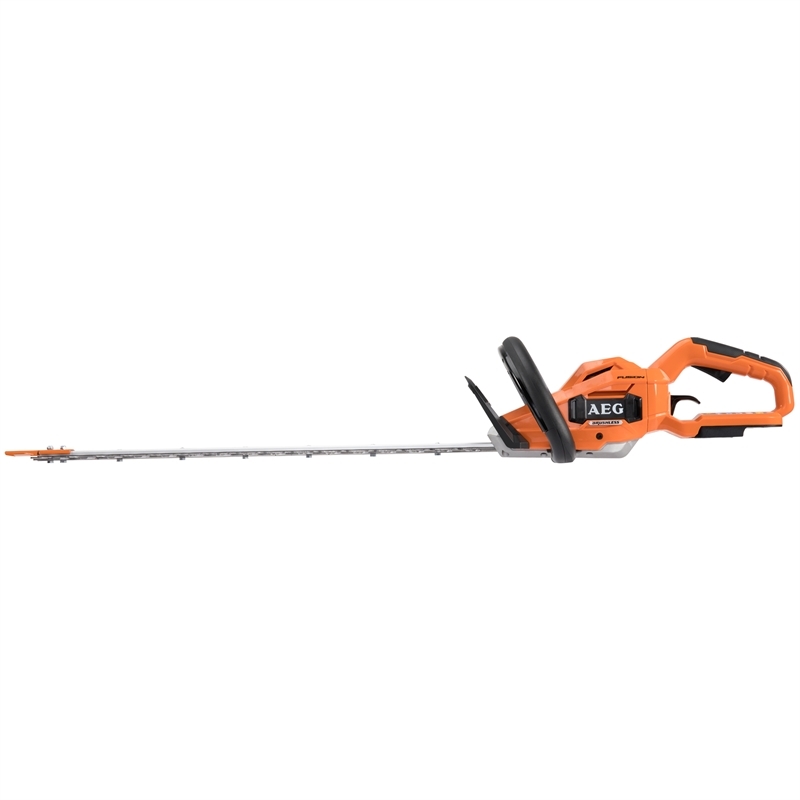 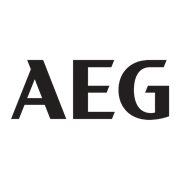 The AEG 18V 550mm FUSION Hedge Trimmer skin provides an excellent combination of ergonomics & power. The smooth cutting performance comes from the outer rotor Advanced Brushless Motor whilst the 550mm steel blades with a 26mm cut capacity, enables the unit to clear a large amount of material. 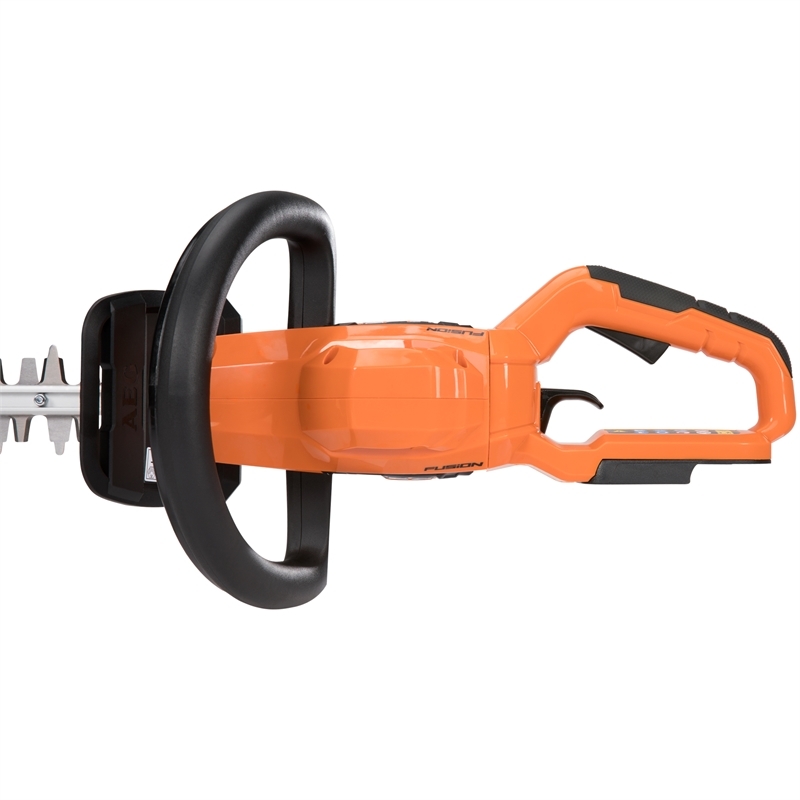 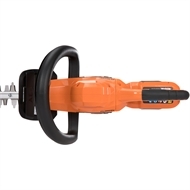 The rear-rotating handle features positive stops in three positions, to ensure the optimal grip angle. 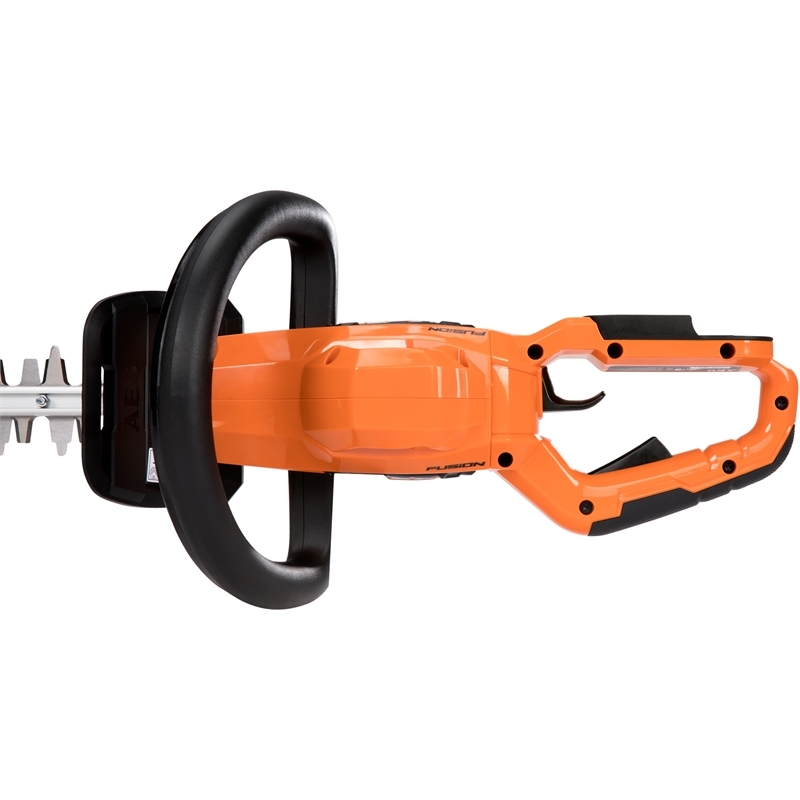 Magnesium-exposed casting creates a lightweight design and provides quick access for blade changes.